Removing and replacing old or deteriorated siding is a major home improvement project that often requires the services of a professional contractor. Unless the homeowner carries a major skill set in construction techniques, this project is best left to the professionals. Siding removal and replacement is labor intensive and requires a multitude of tools, equipment, and knowledge to achieve a professional result. In addition, improper or poorly installed siding can have an adverse effect on your property value. Beginning this project requires that you interview at least three siding contractors and obtain written estimates from each. While the main goal of an estimate is to get a quote for the cost of your project, you should also use this time to gauge the experience of each contractor, determine your level of confidence in them and if you would feel comfortable allowing them to work on your home. In addition, the estimates you receive will vary in costs with one being the cheapest, one the most expensive, and one falling somewhere in between. You should consider all of the aforementioned information including your operating budget when choosing between the estimates. It is to your benefit to verify that they have met the above requirements of your state before entering into a contract. Not only will this increase the chances you receive a quality job, but also protect you from any job related mishaps such as property damage or personal injury. In addition, check the contractor’s references and contact the BBB “Better Business Bureau” to inquire about any complaints or pending lawsuits. Most siding contractors include materials and delivery in their estimate. However, it is not unheard of for the homeowner to supply the materials themselves and pay the contractor for removal and installation. If you have purchased your own siding materials, you must stack, stock, and handle them according to the manufactures recommendations regarding the specific material. Failure to do so could damage the new material. In addition, you should discuss with your contractor where to place the new siding and how to protect it until its installation. Siding removal is a big part of the job, more so than the actual installation itself. The material must be removed safely and carefully to reduce the risk of injury and to minimize damage to the substrate or existing structure. Many contractors will provide a dumpster or use a dump trailer to remove job related debris from the property and include this charge in the original estimate. If you are one of the unfortunate individuals whose home is covered in asbestos siding, you should be prepared to pay more for its removal and disposal. Removing asbestos siding costs between $3 and $5 dollars per square foot of siding removed versus approximately $1 dollar per square foot for non-asbestos siding. Asbestos removal grants are available to help you incur the costs. Check with your local building department to see if you could benefit from this grant. 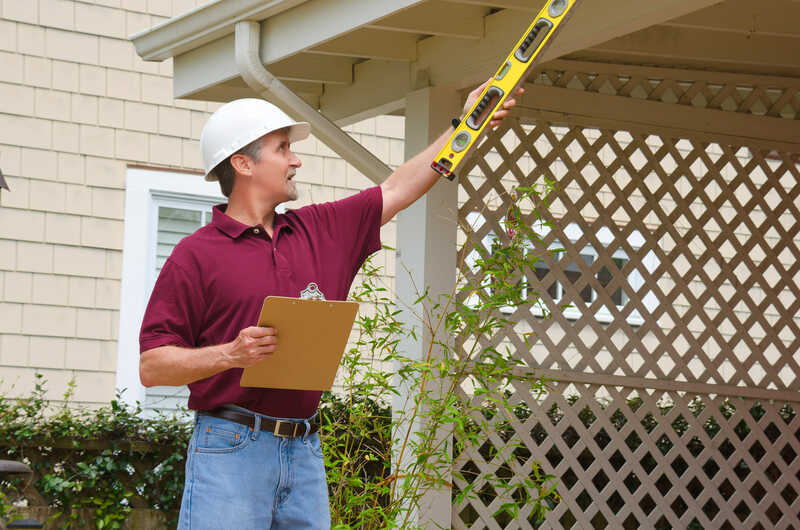 Many times after removing old siding, additional or underlying damage to the substrate is discovered. Your old siding may have failed to prevent moisture from entering the wall cavities beneath it which could cause rot, mold, and mildew growth. Common repairs during a siding removal project might include damaged substrate sheathing, wall studs, wall insulation, and drywall in some cases. If any of these circumstances occur, be prepared for additional charges from your contractor. There are many things you can do to help your siding project run smoothly, both before the contractor arrives and after they leave. Trim any shrubs, plants, and trees that might impede the project before the crew arrives. Most siding projects require using ladders and scaffolding to reach elevated areas of your home. Overgrown landscaping could impede their placement and result in a higher estimate from the contractor. Clean your gutters before the new siding goes up as well. Leaves, dirt, and other debris could cause your gutters to overflow, spewing dirty rainwater on your new siding. Discuss with your contractor how to clean and maintain your new siding. Since siding materials vary, they will require specific methods to clean and maintain their appearance. Your contractor should be able to provide you with the proper procedures regarding the applicable material. In addition, ask your contractor for any unused siding material. It could come in handy down the road if repairs become necessary. After the contractor finishes your project, use a magnetic pick-up tool to remove errant nails from your yard, especially around the perimeter of your home. The tools cost about $10 dollars and are available at most home improvement centers and hardware stores.